Local? Click here for your FREE 1 day pass! 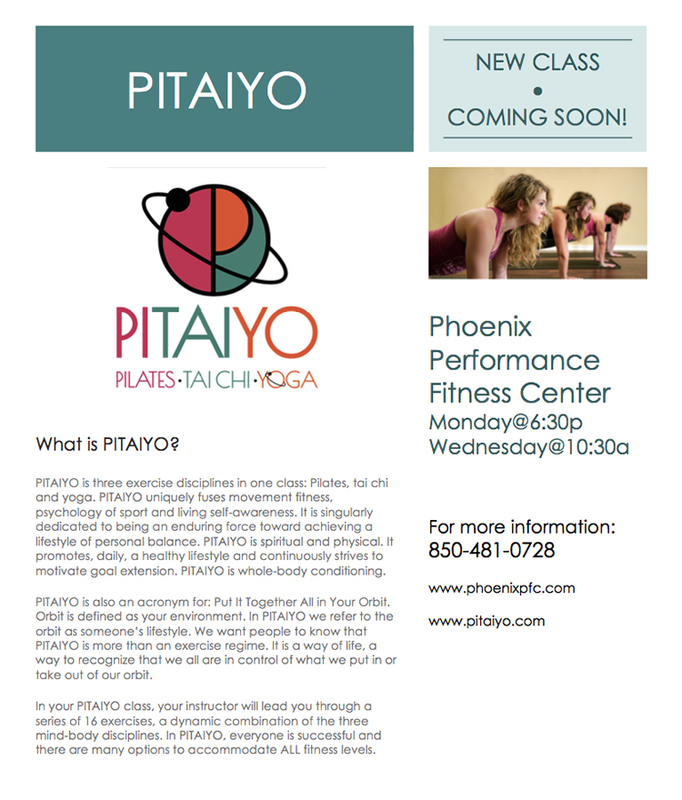 Coming soon: Begning in April, we will be offering PITAIYO classes on Mondays at 6:30 pm and Wendesdays at 10:30 am. This unique lifestyle & exercise class offers aspects of Pilates, Tai Chi and Yoga. Please click here for more information or call the gym at (850) 481-0728. We are excited to now offer our members massage therapy with Casey Rockwell, licensed massage therapist. Please click here for information and pricing. We are now offering Les Mills Classes which include Body Pump, Body Combat and RPM. Have a look at the new schedule and try one today! © 2013 Phoenix Performance Fitness Center. All rights reserved.